3 BR private pool home close to Disney! 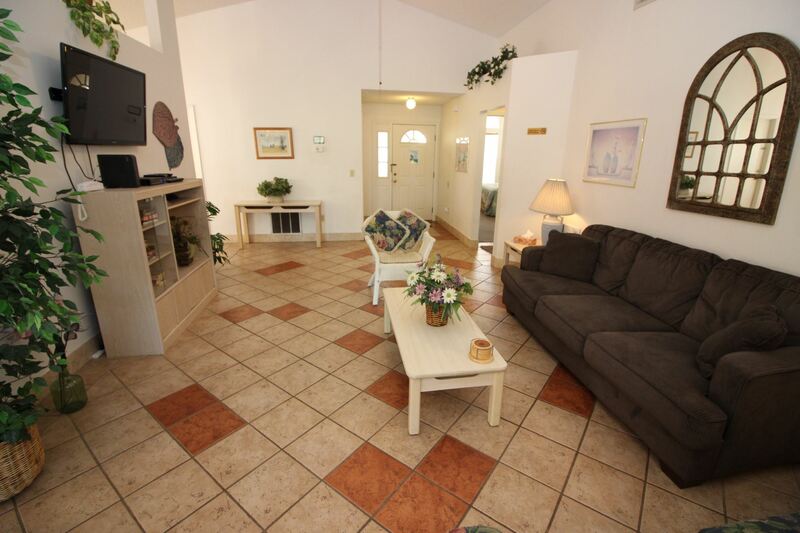 The family room is open to the spacious Dining room and fully equipped kitchen. The dining room table seats six. 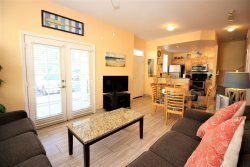 The kitchen has full size appliances, including a stove/oven, fridge and microwave. There in another table for 4 in the kitchen. The spacious master bedroom has a queen sized bed, a TV, and a private en-suite bath. One bedroom has a queen bed and it has a door to the main hall bath. The other has two twin beds. Disney is less than 15 minutes away! Universal and Seaworld about 30 minutes away. Orlando International airport is an easy 30 minutes drive away, Sanford airport is about 60 minutes drive and Tampa about 75 minutes. The Gulf coast beaches can be reached in about 90 minutes while to the east, Kennedy Space Centre and Cocoa beach can be reached in about an hour. The pool looks out onto a lovely pond full of birds! The neighborhood also has tennis courts and a playground. Very nice home - clean, well kept. Booked the property with ease. Close to everything. We've stayed at Montego Bay for the third year and it always meets our expectations.. very clean and the location is excellent. Nice and quiet neighborhood and within 10 minutes to most of the parks.. I accidentally got locked out when I first opened the home up. I went out to my car and didn't realise the front door automatically locks. We called property management and they sent someone out within 15 minutes to open the house door. We were so glad about this! Truly wonderful! I would certainly come back again. Communication was excellent and they were very accommodating.